SPRINGFIELD, Mass. 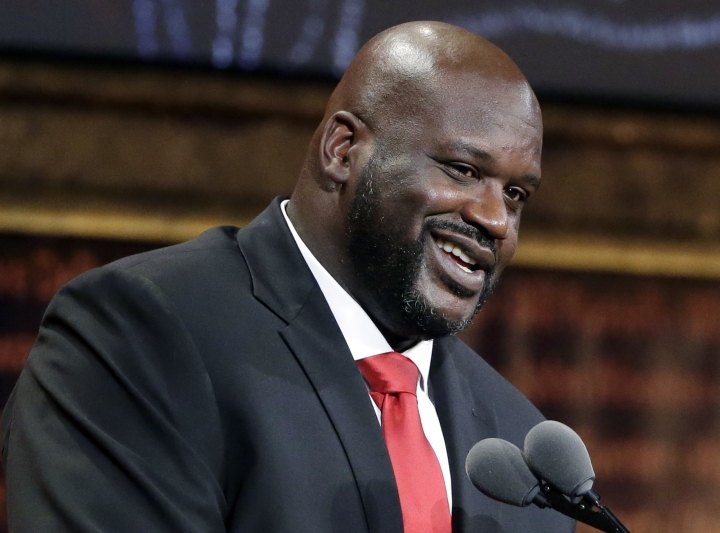 — When Shaquille O'Neal was 10 years old, his father made a prediction. 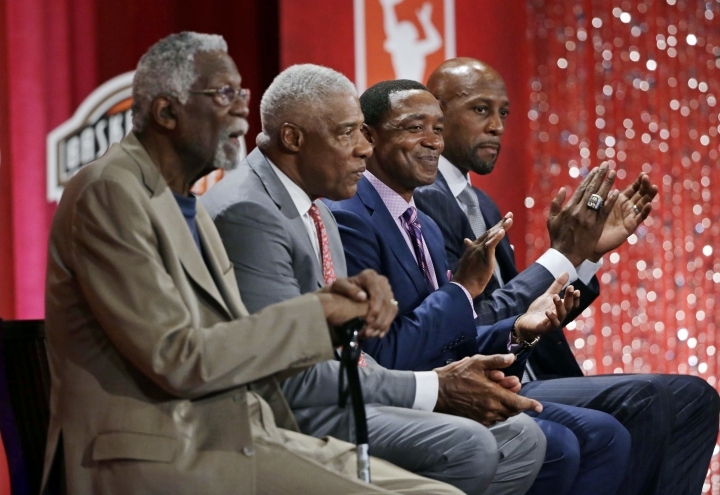 Friday night when his son became a Hall of Famer, it was realized. 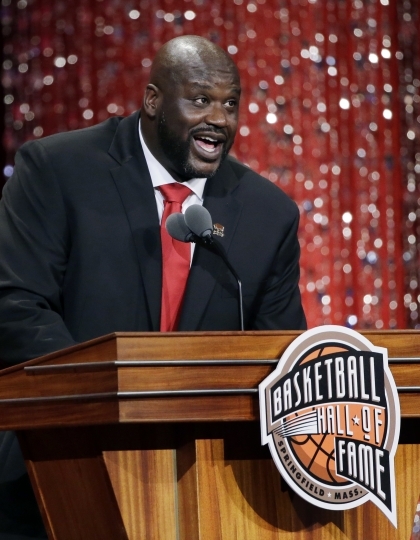 Shaq and Allen Iverson headlined the 10-member Class of 2016 enshrined into the Naismith Memorial Basketball Hall of Fame. One of the most star-packed classes in recent memory, it also featured international star Yao Ming, WNBA great Sheryl Swoopes, coach Tom Izzo, and owner Jerry Reinsdorf, an architect in the Michael Jordan-led Chicago Bulls championship teams of the 1990s. 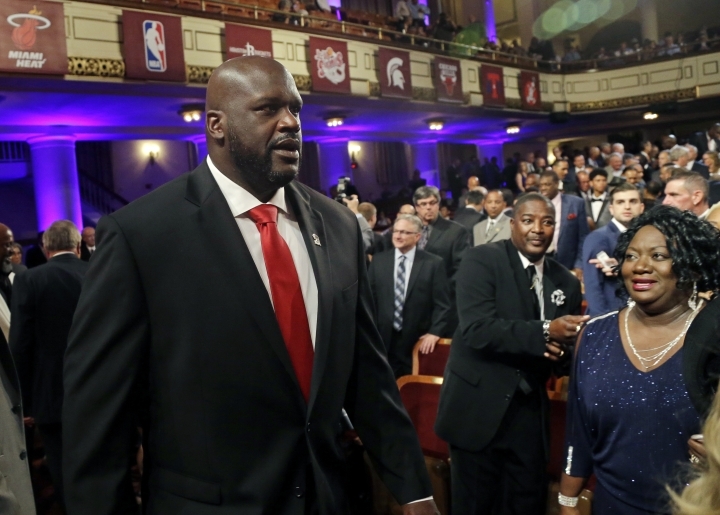 "If I know my father, he's up there arguing with Wilt (Chamberlain) that his son is the best big man in the game," Shaq said. Posthumous honorees were: 27-year NBA referee Darell Garretson; John McLendon, the first African-American coach in a professional league; Zelmo Beaty, the former NBA and ABA star who led Prairie View to an NAIA title in 1962; and Cumberland Posey, who is also a member of the Baseball Hall of Fame. Shaq was an instant box office draw during his career because of his mammoth frame and rim-shaking dunks. But he also exhibited a personality that was as playful was it was engaging. He showed off all of it on Friday. He had the final speech of the night, a humorous dissertation that spanned his long journey in the sport. 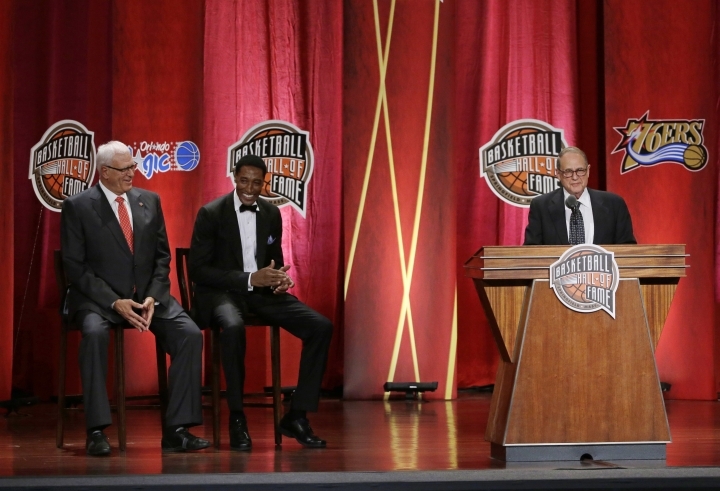 His speech had serious moments like thanking his parents, Phil Harrison and Lucille O'Neal, for giving him the discipline and drive that drove his NBA dream. But he also tossed in light moments. He thanked former Lakers teammate Kobe Bryant for helping him win three NBA titles, "but also for getting me pushed off the team and traded to Miami." 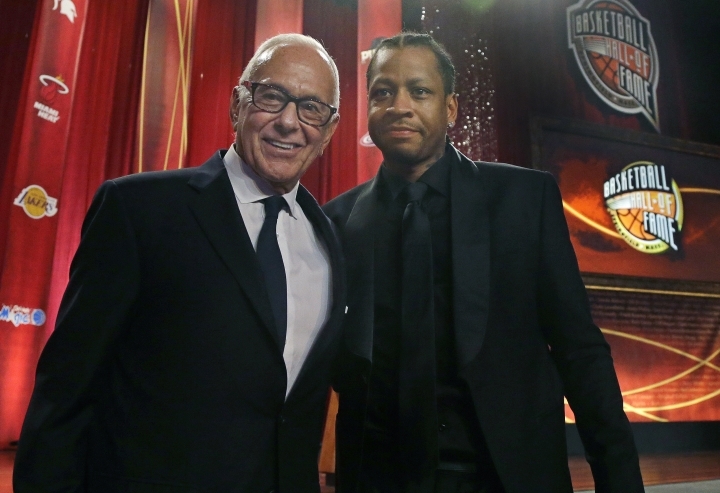 Before host Ahmad Rashad could even introduce Iverson, the first mention of his name started a roar of cheers throughout the assembled audience. 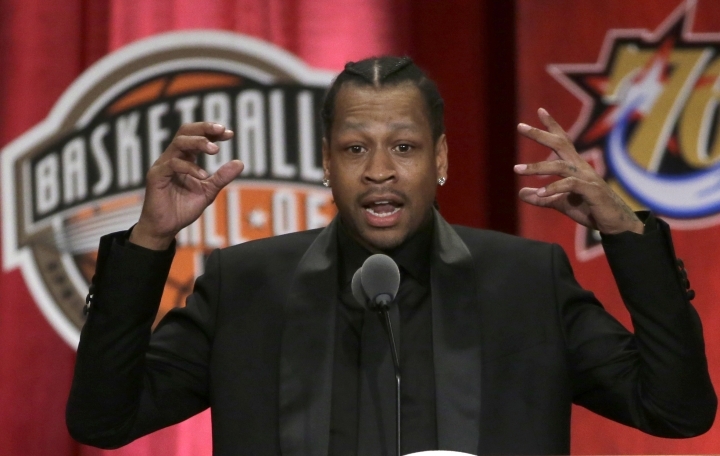 Dressed in all black, former MVP known as "A.I.," blew kisses has tears began to form in his eyes. 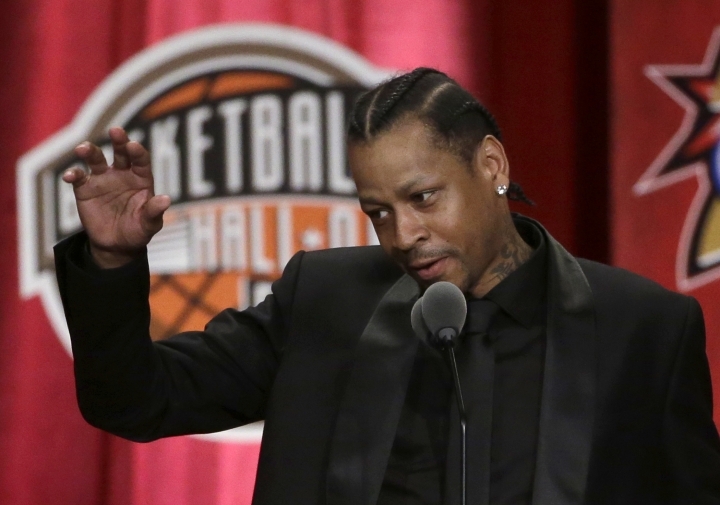 "Thank God for loving me and blessing me," Iverson said, "to be the man that I am and having no regrets for the man that I am. A man that my family loves, my teammates love and my fans love." 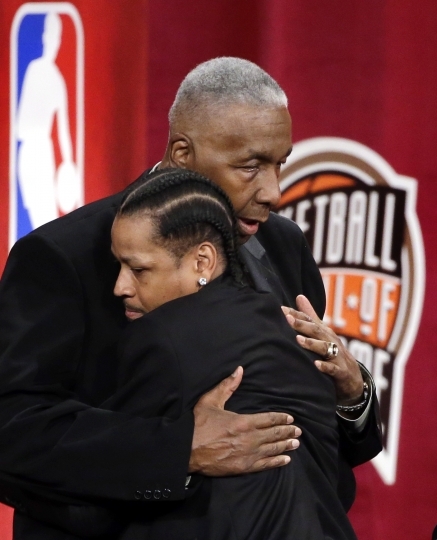 Fighting tears throughout, Iverson thanked former Georgetown coach John Thompson "for saving my life." "(After) the incident happened in high school and all that was taken away...no other schools would recruit me anymore," Iverson recalled. "My mom went to Georgetown and begged him to give me a chance. And he did." He said he later left Georgetown only as "an OK basketball player." "But once I started to listen to Larry Brown and take constructive criticism, I learned how much of a great, great coach that he really is. ... That's when I became an MVP." 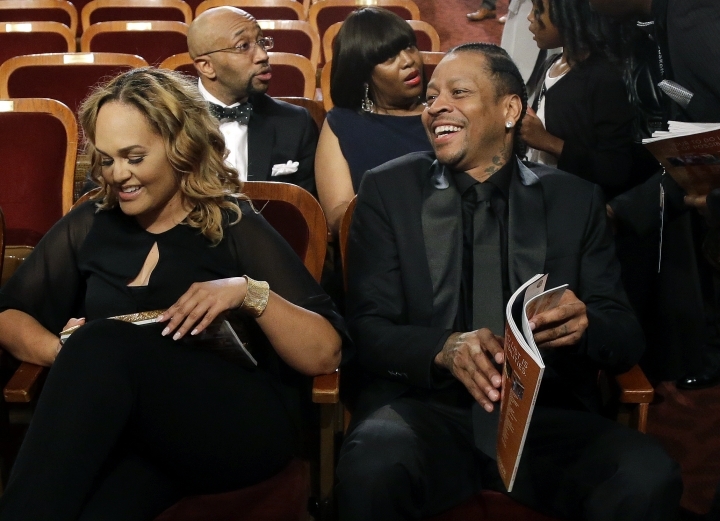 Iverson saved his final thank you for wife Tawanna. "You're just the best to me," he said. "I want you to walk around and be proud of yourself that you are a Hall of Famer." Two of the themes on the night were family and journeys. That was the essence of Swoopes' speech, who was thankful of her path from tiny Brownsfield, Texas, and that her cancer-stricken mother, Louise, was able to see it. "What a ride it's been," she said. The 7-foot-6 Yao's arrival from China to the NBA in 2002 instantly helped bring the game to a broader international audience. 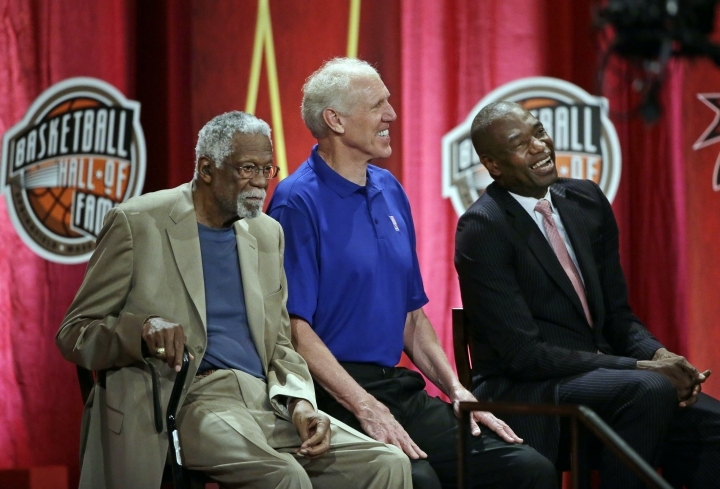 He was Friday's first inductee, an honor which he joked that should have gone to Iverson. "You know why? Because I need more practice than him," Yao said to applause from the crowd and a laugh from Iverson. 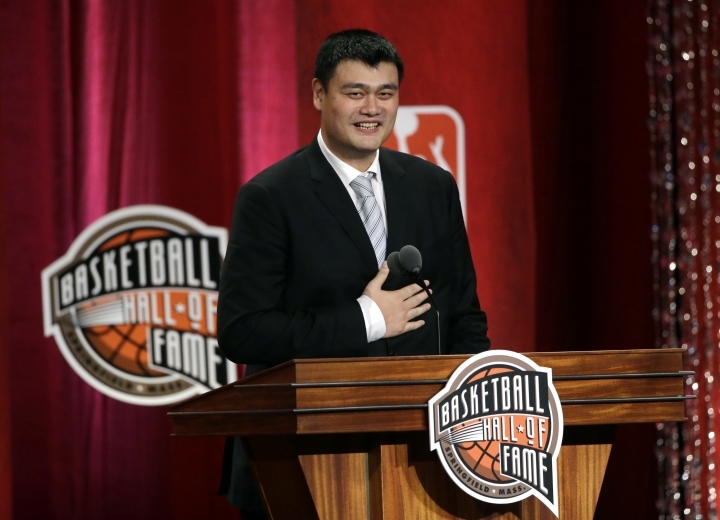 Yao also thanked his early mentors in China, former NBA Commissioner David Stern for his vision in wanting Yao to play in the league, as well his first teammates on the Houston Rockets. He also singled is former NBA coaches, including Rudy Tomjonavich and Jeff Van Gundy. 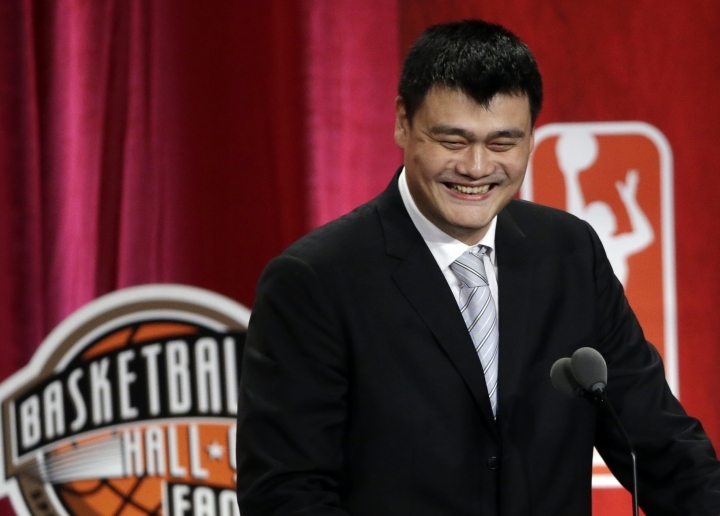 "I will always consider you my family," Yao said. "I am Texan and Houston Rocket for life." Izzo has become the face of the blue-collar Michigan State team while leading it to seven Final Fours and the NCAA championship in 2000. He thanked his parents, Carl and Dororthy, for being his first mentors. The 90-year-old Dorothy was in attendance, but Carl passed away last September. Izzo briefly got choked up as he spoke of his father, who he said instilled in him a work ethic that remains with him today. 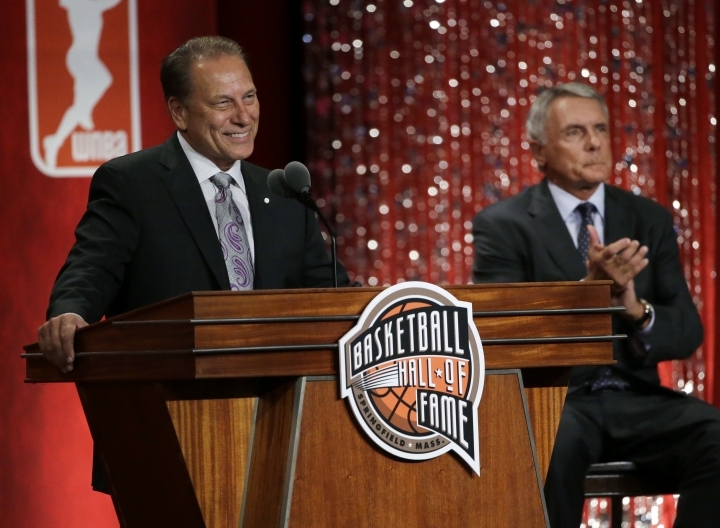 "The seven Final Fours and championship are just frosting on the cake," Izzo said. Reinsdorf, the longtime Bulls owner, chronicled what led him to purchase the Bulls in 1984. It was a move he said legendary New York Yankees coach George Steinbrenner panned, telling him he'd never make any money. He enjoyed proving him wrong. "It's been a great life," he said. "I know it's the fourth quarter, but I'm hoping for overtime." Like his father, Shaq too has a wish. 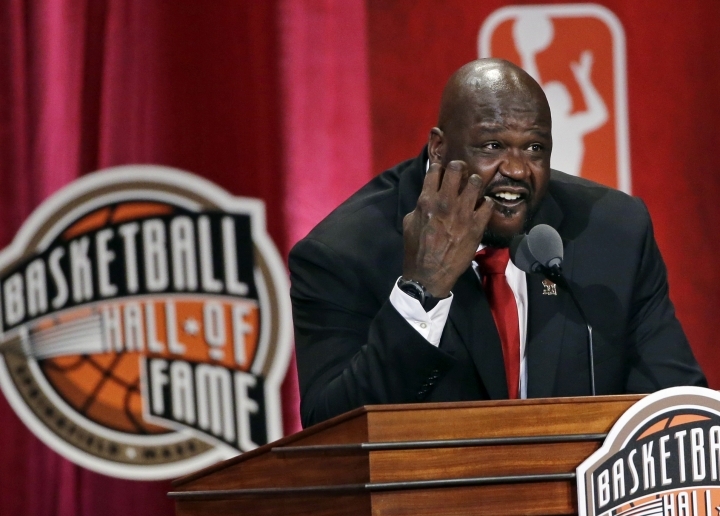 "One day when some father quizzes his sons on the greats of the game, I hope Shaquille O'Neal will be the answer," he said.